I. Prokudin-Gorsky, Sergei Mikhailovich (1863-1944) .1. Cathedral of the Icon of the Mother of God Feodorovskaya (Yaroslavl, city) - History - 1911 - Photographs. 2. Territory (collection). 3. Territory of Russia: Yaroslavl Region (collection). 4. Yaroslavl region: pages of history (collection). 5. Icons. 6. Murals. 7. 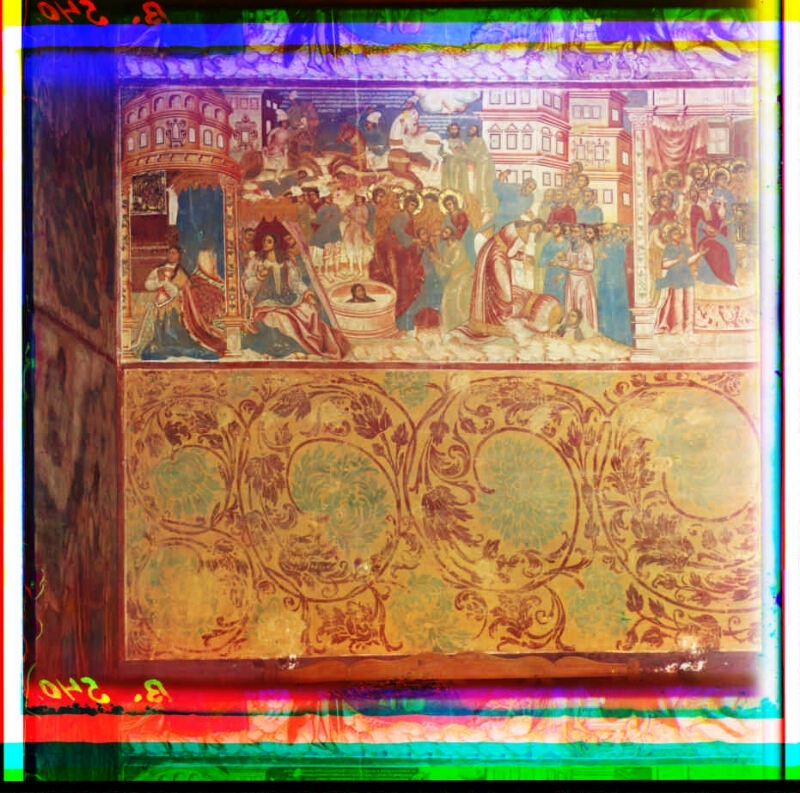 Fresco painting Russian - Yaroslavl, city - 1911 - Photographs. 8. Color of negatives. 9. Glass negatives. 10. Documentary photos.